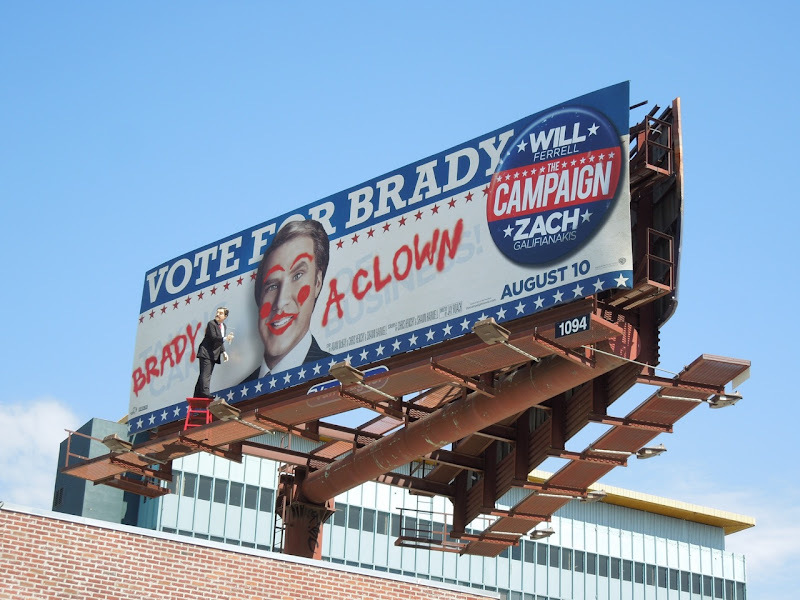 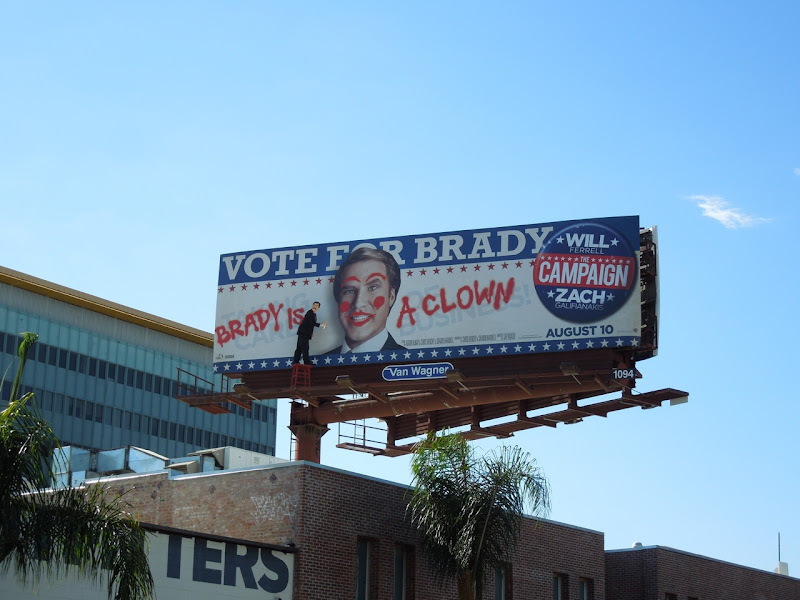 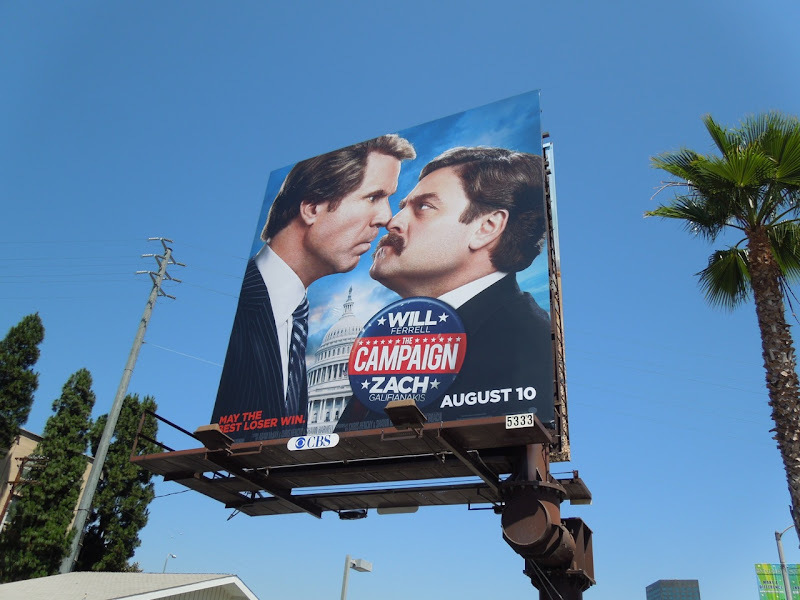 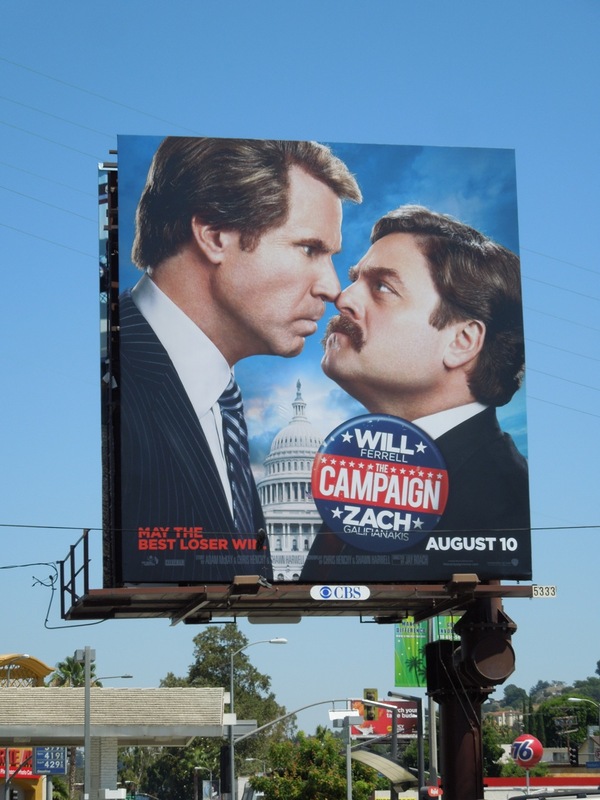 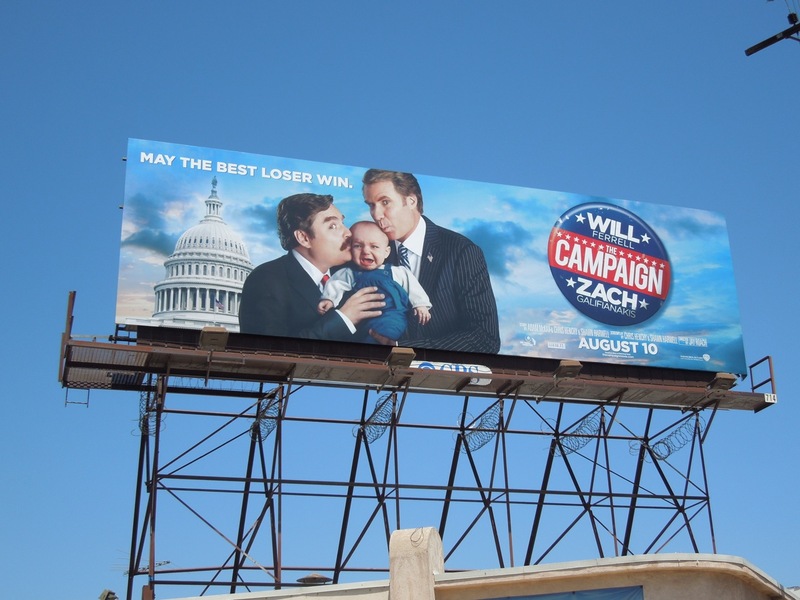 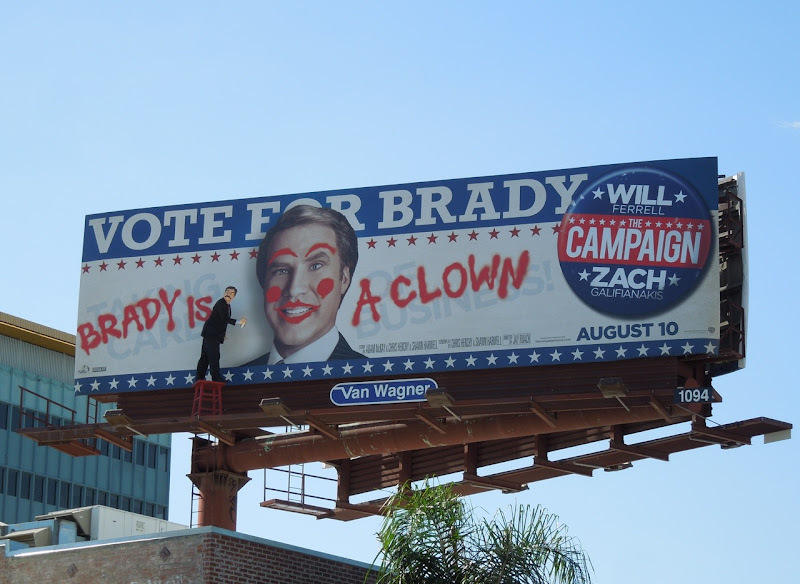 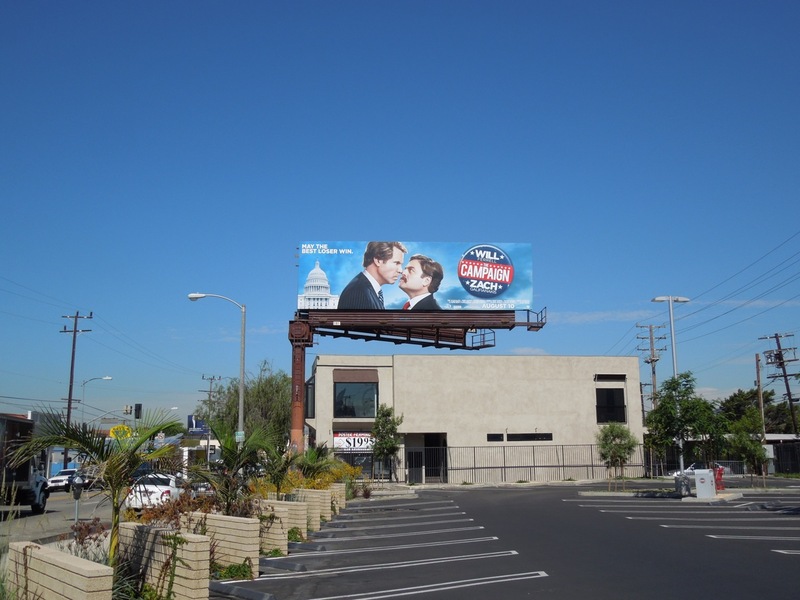 What better way to start the week than with this fantastic duo of special installation billboards in Hollywood for the new political comedy, The Campaign. 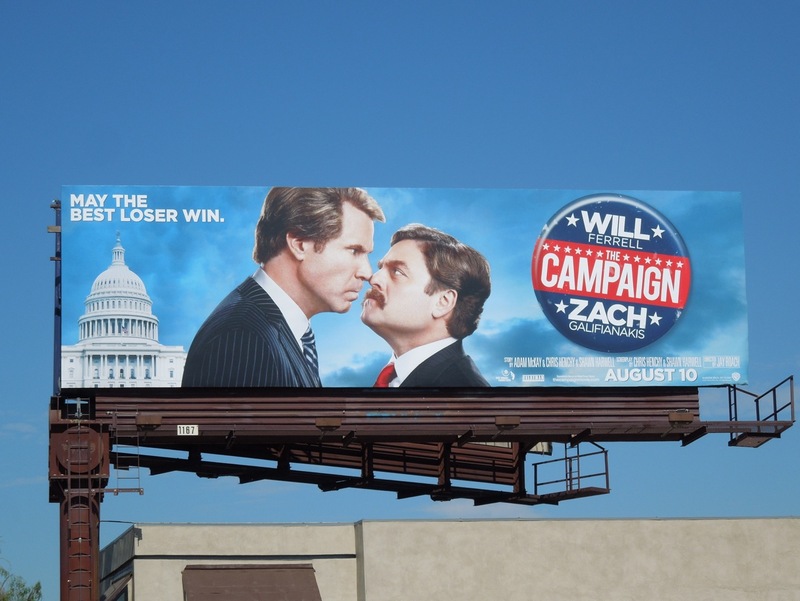 In an election year it had to happen, and who better to spoof the whole election process than the amazing Will Ferrell and everyone's current go-to-funny guy Zach Galifianakis. 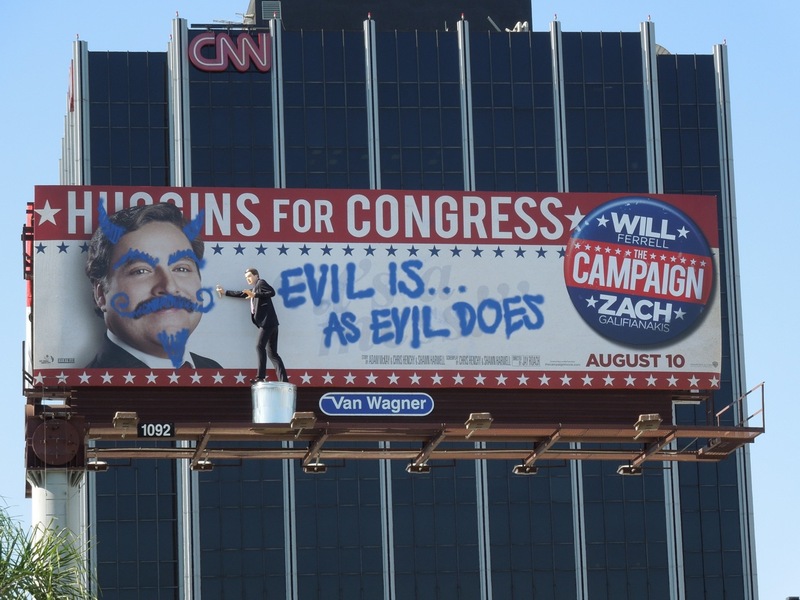 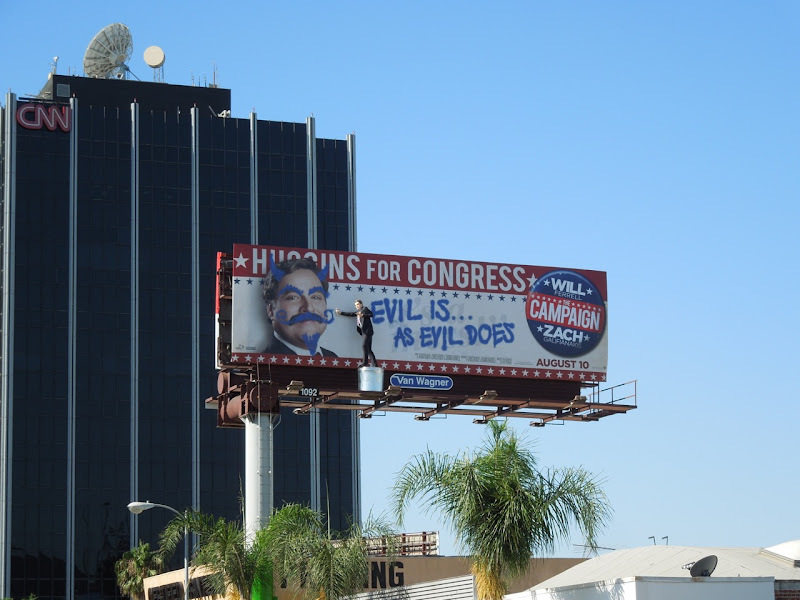 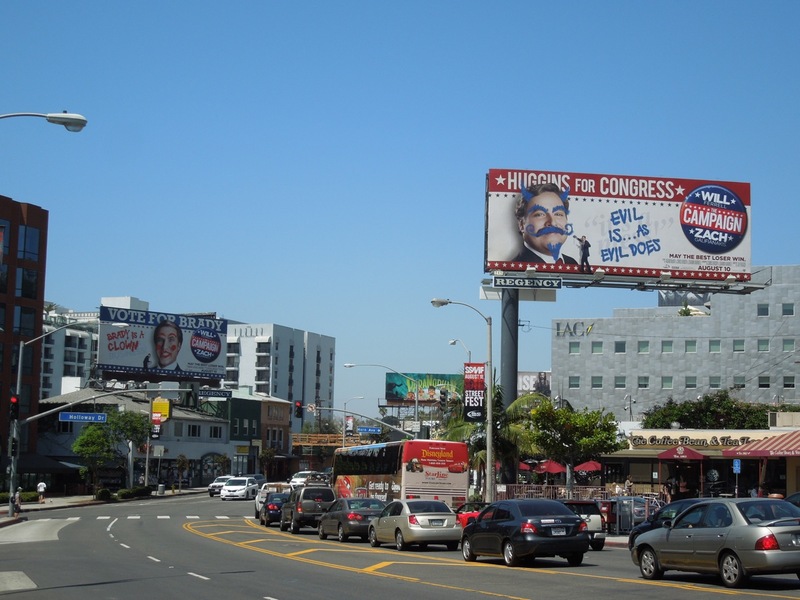 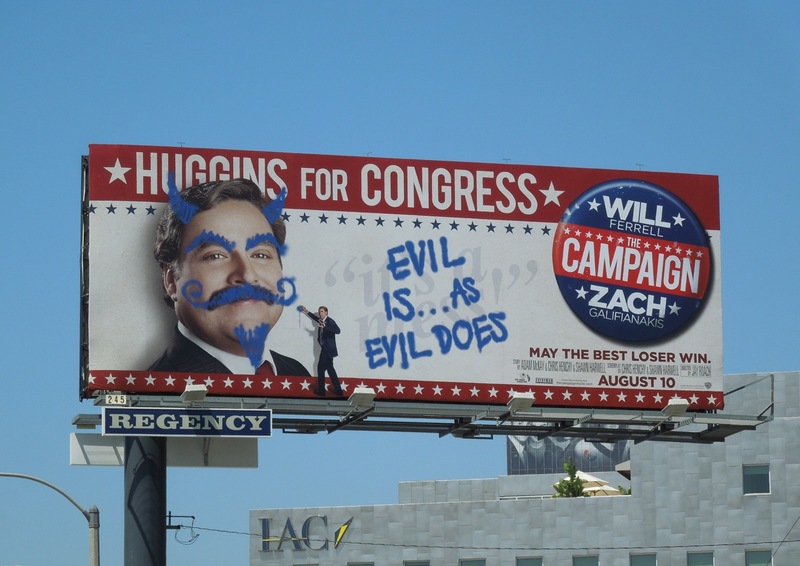 This hilarious installation sees the two rivals for Congress defacing each others promotional billboards with graffiti and was snapped on opposite sides of the street along Cahuenga Boulevard, between Sunset Boulevard and Selma Avenue, on July 20, 2012 (with special thanks to FilmFestivalPosters.com for the tip off that these ads were there). 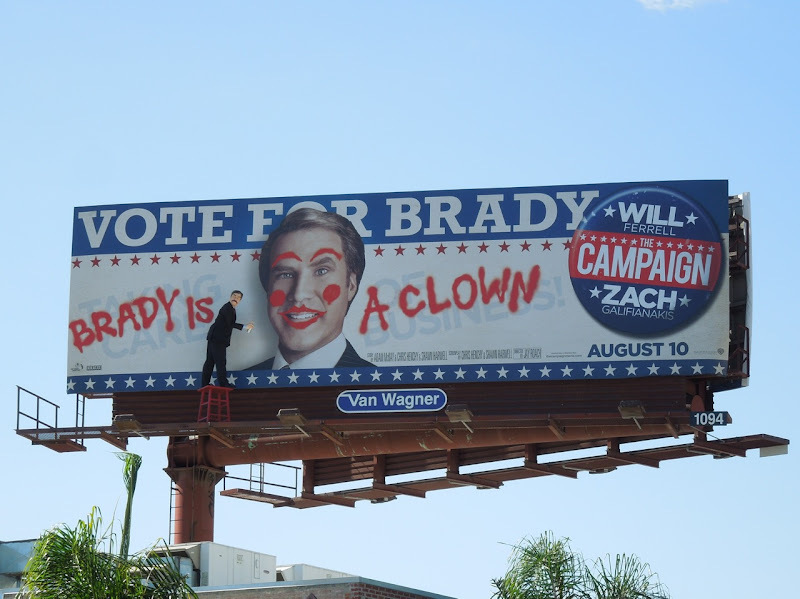 These life-like mannequins perched on their stool and trash can caught in the act with their spray paint make Daily Billboard roar with laughter and we're sure other passersby feel the same. 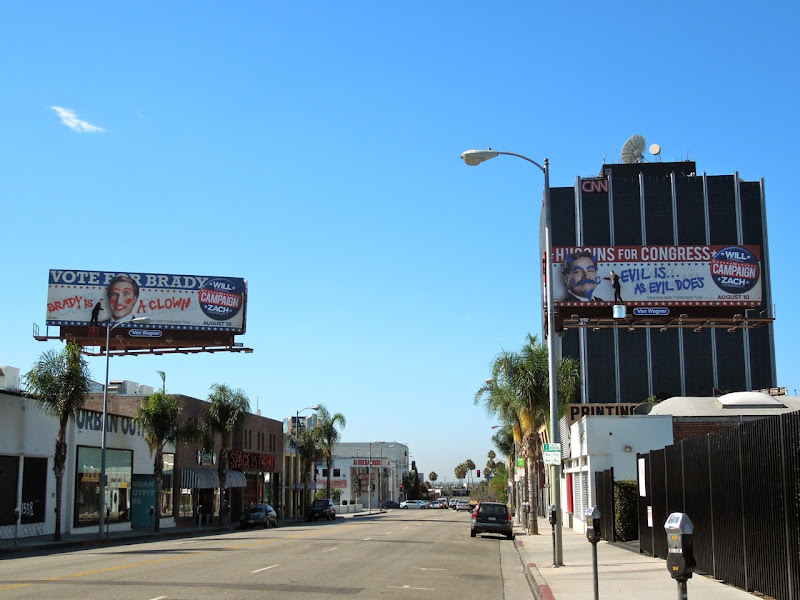 If that wasn't enough, there's also a whole raft of fun regular billboards around L.A. in a variety of sizes with two main creatives to entertain. 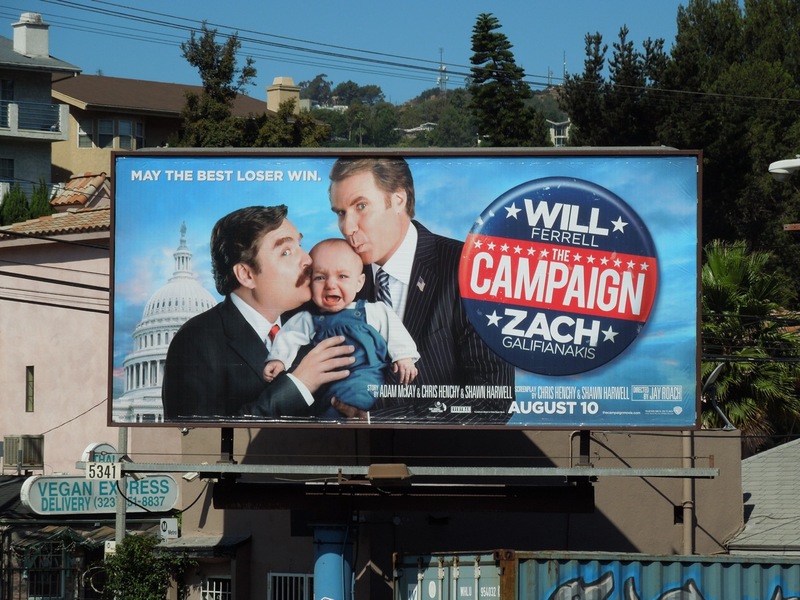 The 'kissing baby' creative is especially funny and you just know politicians do this all the time (although if you've seen the movie trailer, Daily Billboard would wager you've never seen a baby punched by a Congressional candidate before). These comedic billboards were photographed all over the streets of L.A. from Barham Boulevard to 3rd Street, Melrose and Highland Avenues to Ventura Boulevard around mid-July 2012. 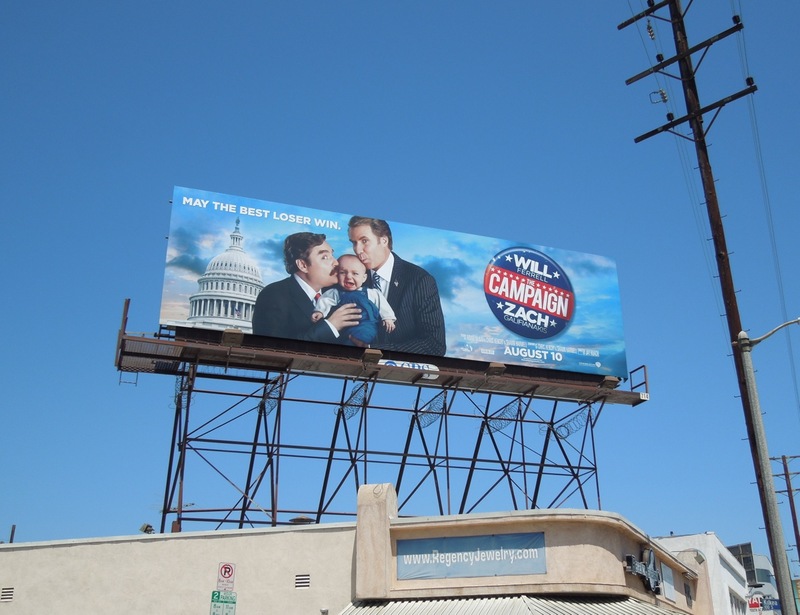 If you think these are funny, be sure to check out more special installation billboards for TV shows, fashion brands and movies here at Daily Billboard. 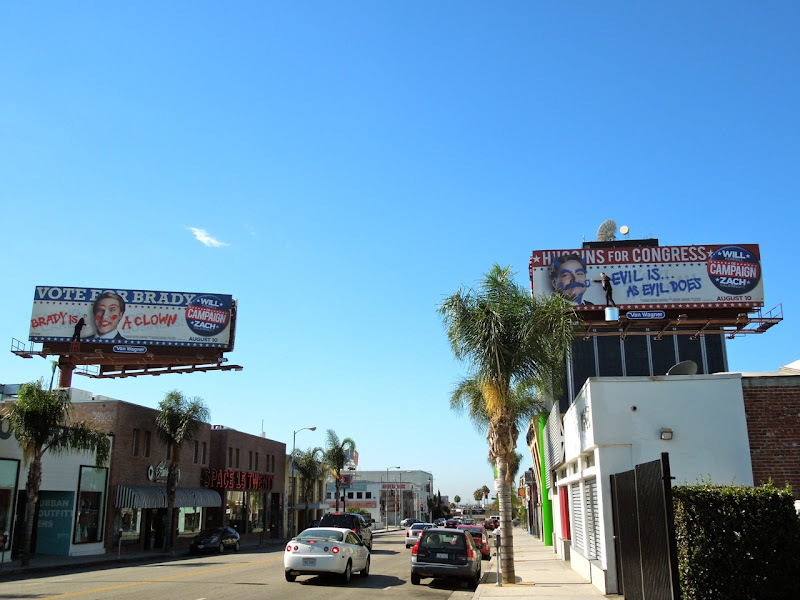 UPDATED: Here's the two-dimensional billboards of the special installation creatives that have appeared along L.A.'s Sunset Strip at Holloway Drive. 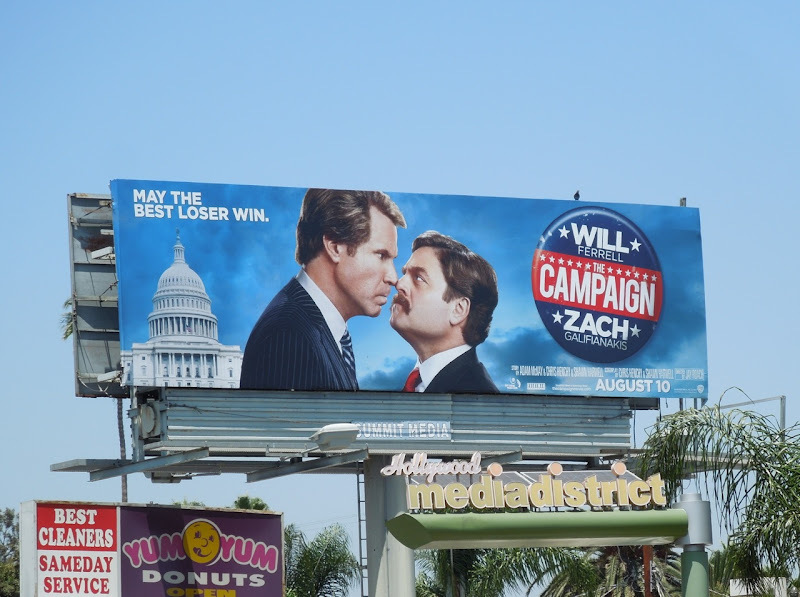 This fun duo of intentionally defaced billboards was snapped on July 24, 2012.